The Vastu Purush is an imaginary person in form o God , who governs each house . The interior planning of the house is based upon the position of the Vastu Purush . Once laid on ground the vastu purusha is measure in form of squares from east to west known as vastu purush mandala . Vastu had started from the primitive man building his shelter , and has evolved over time to become more complex and scientific . Vastu works on principles of the Panch mahabhutas . It is majorly based on the scientific properties of earth like its rotation , revolution , magnetic flux and also cosmic energies and their utilisation for creating healthy living spaces . Vastu advices the usage of breathing materials or natural materials to avail benefits of natural energies . Vastu has its evidences in Great Epics like Mahabharata and Ramayana and its usage is also seen in the older civilisations like mohenjo daro and harappa also . Shape of buildings play a major role in their functioning . Naturally evolving forms are effective under changing environmental factors . Like the Suryabhedi structures function in hot climates and Chandra Bhedi in cold climates . The aim of vastu is balancing various energies in nature to for positive output which is known as Urja Santulan . Vastu should be applied before planning like the site chosen should be East and North facing . South facing or Dakshinmukhi site is believed to be unholy but this can also be constructed according to Vaastu by following some special principles . Thank You……. Here is the significance of the location, shape and directions of a plot/building in our life. It provides the knowledge of the logical and basic factors which should be considered while buying a plot for either residence or business purposes. It covers the practical aspects of a plot in terms of availability and gives the detailed description on how one can make the decision based on the usage. For example, Gau-Mukha is good for residence whereas Singh-Mukha plot is good for business. In addition, it provides a few extremely important guidelines on how to construct a building in an available open space. For example, even if a plot has an extended north-east corner (which is auspicious); one shouldn’t extend the building construction in this corner. Also, the open area around the building should be decided according to the Vastu principles. It also gives a detailed description of the impacts of the extended or cut corners in a plot/building. This module revisits the concept of 9x9 grids = 81 Mandala in a plot and explains how one can define all the directions and sub-directions in a plot if it is not aligned with the cardinal directions. The main point to remember is that all the sub-directions should be equal in terms of the area. Note 1: If the house alignment is in -11 or +11 degree range with the cardinal direction, it can be ignored and considered in alignment with the cardinal direction. Note 2: If the house alignment is -45 or +45 degree from the cardinal direction, then the cardinal directions will exactly be at the corners of the house whereas the sub-directions will be along the walls of the house. Note 3: If the house alignment is -23 or +23 degrees from the cardinal direction, then the sub-directions are defined as shown below in the picture (rectangle shape). Similarly people are looking for the best vastu consultants in Delhi & Delhi NCR like best Vastu consultants in Ghaziabad, Best Vastu experts in Gurgaon & best Vastu experts & consultants in Noida. Even in Faridabad too people are searching the top most Vastu experts in the city. We have multi-faceted approach to Vastu remedies. Your all consultants should be highest qualified. 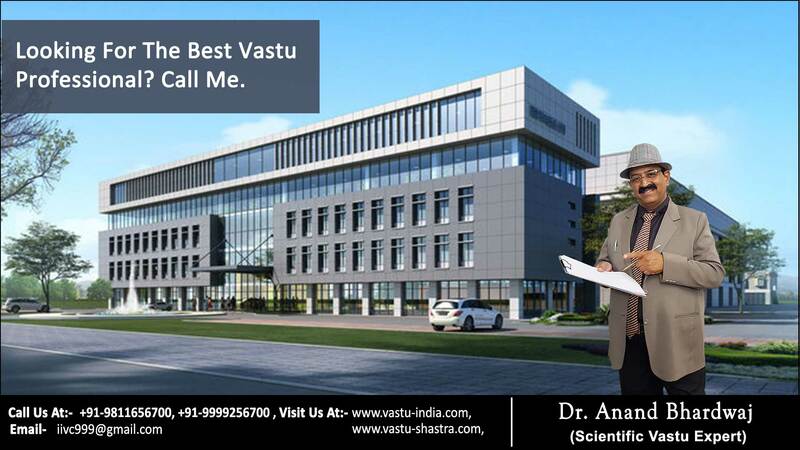 The Vastu expert & Best Vastu experts: Dr. Anand Bhardwaj, the world famous Vastu consultant & Vastu expert also expertise in Vastu corrections without demolition. If you want the perfection in Vastu energies, get excellent Vastu advice from the excellent Vastu consultant- Dr. Anand Bhardwaj. Select the Vastu consultant who is largest experienced. Now when the finest Vastu advice available in your city then don't compromise... This is unique. Choose the best Vastu expert because we deal Vastu with logic.. No space for superstition as here we are to provide the best in class Vastu advice. Excellent Vastu consultancy services are provided by Dr. Anand Bhardwaj.